The Association for the Promotion of Electronic Technology currently has 88 members. APTE was established in 2002 by the Center for Electronic Technology and Interconnection Techniques, UPB-CETTI, and highly respected electronics industry members to support e-packaging education in a climate of trust, ethics and social responsibility. 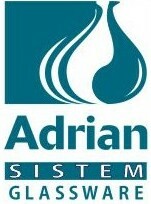 Adrian Sistem SRL was founded in 1992 as a production company for laboratory and decorative glassware, using the burner blowing technology of borosilicate glass tubes (defined by ISO 3585). 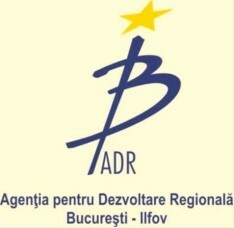 The Bucharest-Ilfov Regional Development Agency (ADRBI) is a non-governmental non-profit institution with legal personality, operating under Law 315/2004. Production of industrial goods in the field of telecommunication and professional electronics or consumer electronics. Research, development, design, production, installation, commissioning and service of telecommunication equipment and networks. ARIES is the Romanian Electronic and Software Industry Association, the largest and most influential organization created for the Romanian IT & C industry, with 4 regional branches: Timisoara, Brasov, Cluj and Craiova. BEIA CONSULT INTERNAŢIONAL is one of the main suppliers of telecommunication equipment in Romania, having 23 years experience in more than 10,000 projects for telephone exchanges, telephone exchange networks, voice-data communication networks, advanced communications solutions. BETA MARK ACTUAL SRLdesigns, manufactures and markets a range of products for the petroleum, power and machine-building industries in accordance with European standards and ISO 9001 certification. The Optoelectronics Research Center carries out research, development, information, documentation, expertise and consultancy in the field of photon micro and nanostructures, optical processing of information and communications on fiber optics. Advanced Research Center of A.O.S.R. has the role of contributing to the development of science, by contributing to the development of programs of national and international interest, of the priority programs of AOSR and of its own research programs. The ECOMET UPB Center was founded in 2001 and operates in the Polytechnic University of Bucharest. The object of activity is the multidisciplinary research in the field of advanced materials (metallic materials, nanomaterials and special alloys) and environmental engineering. 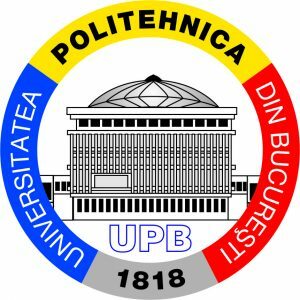 The Center for Electronic Technology and Interconnection Technologies of the “Politehnica” University of Bucharest (UPB-CETTI) was established in 1995 as a research and training center in accordance with the new Romanian legislation in the field of education and research. Fundamental and applicative research of processes and technologies for materials development, researches on the efficiency of the processes in the metallurgical sectors for elaboration and refining of ferrous, non-ferrous and metallic materials, by automation and computerization. CSC TRANS METAL S.R.L offers the most varied and advanced services in precision metalworking, casting and molds. The extraordinary technical capabilities of CSC TRANS METAL allow, on request, to take over the design, production and assembly tasks of mechanical and electronic parts. Since 1993 we have been providing unique technical solutions with a global vision of each project. Prizes of excellence internationally. The most well-known specialists in technological development. We are DBV Research and we will change your life. Literally. Marketing of electronic, electromechanical components, devices, modules, subassemblies and various materials used in production, maintenance and service. ELECTRO OPTIC COMPONENTS specializes in the development and manufacture of optoelectronic systems for various applications. The technology specializes in designing active backplanes that combine FPGA onboard and other active circuits with industry standards such as PICMG® and VITA®. For these customized applications, Elinktron develops the concept and offers the complete layout and layout design. Founded in 1991, Elref is one of the service providers and supplies equipment for the IT & C industry in Romania after 24 years. This year, Elref managed to fully satisfy its customers, having a positive balance sheet every year. Dedicated in particular to the EDA market, ELSIX offers a wide range of software solutions for analysis and simulation, design and manufacturing for the electronics industry. Among these are OrCAD, PSpice and Allegro from Cadence Design Systems, EMA CAD Library from EMA Design Automation, VisualCAM and GerbTool from Wise Software Solutions, Compliance from Quantum EMC, XFDTD, Wireles InSite, VariPose and XGTD from Remcom, AutoVue from Cimmetry Systems and Reflection from WRQ. Focused solely on the technical field of electronic / industrial / automated packaging), Euro Standard Press 2000 is a compliant publisher; here you can find interviews, company presentations, technical articles, news, everything at maximum quality. Giga Electronic International offers the following services: electrical installation, air conditioning and service, alarm and surveillance systems. Promotes: assembling with bonding technologies, manufacturing equipment, materials and products for electronics, niche products and serving certain industrial sectors. iDS Architecture offers integrated solutions for architectural design and consultancy, project management and assistance in the development of companies that want to launch on the market. We provide a professional team of architects and project managers specializing in design services as well as specialized consultancy. RESEARCH INSTITUTE FOR HYDRAULICS AND PNEUMATICS (INOE 2000 – IHP) in Bucharest ROMANIA is an institution with a research and development profile in the field of Hydraulics and Pneumatics – a subsidiary of the National Institute for Research and Development for Optoelectronics – INOE 2000. 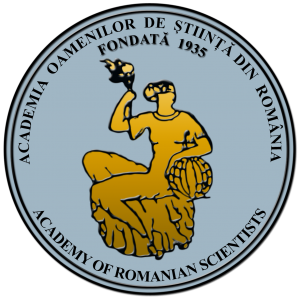 The Institute is a component of the National Institute of Economic Research, within the Romanian Academy. The research potential of the institute is supported by the work of 23 researchers, 12 of which have the title of Doctors in Economics and Mathematics and 4 are PhD students. ICG Integrated Consulting Group is a Central European Northern Europe consulting group that has been delivering solutions for change management, leadership, operational excellence and innovation for over 32 years. L&G ADVICE SERV SRL Member and Authorized IPC Materials Distributor provides comprehensive IPC, Association Connecting Electronics Industries education, training and certification services for staff working in the electronics industry in Romania. LUCA Electric SRL, having the status of technical and commercial representation, distributes in Romania the products of the German company Lenze Antriebstechnik G.m.b.H. (LENZE S.E.) and its partners. Magnum CCC is an on-line design, research and development office, training and consultancy in the field of technology electronics. Magnum CCC also markets electronics products for prototyping, electronics methodologies / procedures, and CAD design packages. Mibatron Electronics is a full service provider of assembly, planting electronic components on printed circuits, design, product development and testing. PARROT INVENT develops and sells test leads, probes, clips for Multimeters, Oscilloscopes, Voltmeters, DMMs, Ohmmeters, Spectrum Analyzers, etc. test leads, test leads, SMD test leads based on the Parrot Clip invention that offers high quality, high reliability of contacts and connections for electrical measuring equipment. PRO OPTICA is a private joint stock company, leader on the Romanian electro-optical systems market. Our vision is to build an international company with people, products and services of excellence. Radio Consult SRL is a small private company, established in 1998. From the very beginning we are the exclusive representative of WiNRADiO Communications in Romania. In addition, we offer consulting services in the field of telecommunications, especially for radio spectrum monitoring and related activities. ROEL electronics is mainly engaged in the research, development, design, production, distribution and integration of security systems and services of any complexity, intended for companies and government institutions as well as residences. ROND ELECTRIC is one of the main suppliers in the domestic market for power and power electronics: generators, UPS, accumulators, rectifiers, inverters, stabilizers, electric drives, electric motors, automation panels, remote management systems according to the requirements customers in various fields such as construction, telecommunication, hospitals, centers, offices, industrial halls, residents. SAMWAY provides advanced solutions and products for remote monitoring and control of military, industrial, computerized computers, manufactured according to CPCI, AdvancedTCA, MicroTCA, VPX standards. SELETRON was established in May 2003, having as main object of activity the design, execution, maintenance and repair of electronic industrial automation equipment. We manufacture prototypes and small series products, electronics, automation, display systems, pressure and temperature monitoring equipment, etc. Developing hardware and software solutions that provide flexibility, mobility, quality, always based on the specific needs of their users. IT & C consulting and IT skills make Standard Business Solution a trusted partner in developing and integrating IT & C solutions and services that generate accountability, high control, optimization of time and resources for their users. 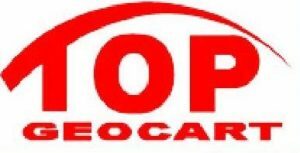 TOP GEOCART Company is a 16 year Distributor authorized in Romania by the Swiss company Leica Geosystems, a trader in the field of topographic equipment for geodesy, cadastre, surveying, construction, architecture, GIS, etc. POLITEHNICA University from Bucharest represents an integral part of the international academic community, sharing the belief in the same moral, educational, scientific and cultural values. Given the globalization phenomenon, UPB is concerned about strengthening its participation in the international exchange of values, and as a result of the prestige it enjoys, there are currently collaborative programs with over 150 universities from 27 countries in Europe, America, Asia and Africa. 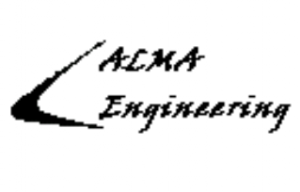 Since 2005, ALMA ENGINEERING has been performing scientific research, technology development and specific services in the fields of competence, nationally and internationally. AlfaTrust Certification S.A. has been set up to meet the needs of the IT security market, ranging from AlfaTrust Certification ™ certificates for any type of user to complex PKI (Public Key Infrastructure) security solutions, using a team of specialists with an experience of over 7 years in application architecture, IT security, project management and cryptography. AXIPlus focuses on delivering high-efficiency, fast-to-market products, designs and ideas with high social impact and very low environmental impact. Computas is an IT solutions provider based in Norway. We offer services and solutions for working and collaborative processes. Our Norwegian offices are located at Lysaker and Stavanger. We also have a Computas Development Center distribution center located in Bucharest, Romania. Founded in 1990, Concept Electronics is one of the respected system integrators in the Romanian IT & C industry after 25 years. Established in 2004, ECR Systems has recently become one of the leading suppliers of tax equipment and software in the southern area of Romania, providing its customers with turnkey solutions for automating their business. The integrated mobile platform that provides all actors, organizers, speakers, sponsors, press, etc. a virtual space for the development of an interactive event, giving them a fresh experience, a considerably greater number of opportunities and benefits in the events. Infrasoft is a Romanian company with 100% private capital, leading in Romania in the field of storage, archiving and management solutions (data and documents), having more than 10 years of experience on the Romanian market. Key IT Solutions is a Romanian software company specialized in the development of medium and complex online products and applications. Net Digital Service S.R.L. was established in 2007. The main activity of the company consists in the production of SMT templates for the electronics industry. We also provide design services and industrial graphic design, design of models for computer-assisted photo and computer-aided printing, administrative services, as well as printing of large-sized photographic films and resolutions. S.C. OPTOELECTRONICA 2001 S.A. is a joint stock company with full Romanian capital established in 2000 following the reorganization of the optoelectronic domain. Established in 1994, Prosoft ++ has established itself as a leader in IT security and one of the world’s leading software vendors and suppliers for industry and public administration. S.C. SUIT CORP S.R.L.is a Romanian company founded in 2007 and has as main activity the research and development of the pilot projects in IT and Software. SunCommunication S.R.L. operates on the Romanian market in the field of professional radio communication systems in miniature, having as external partner the world leader on this product segment, Phonak Communications A.G. from Switzerland. Syswin Solutions SRL,founded and based in Delaware (USA), is a software manufacturer and provider of Internet telecoms (IoT) solutions for telemetry and communication to meet the needs of gaming connectivity and communication, industrial measurements . TENSOR is a privately owned Channel Partner authorized in Romania in 1996 for ANSYS software (CFD, FEA, ANSOFT). Founded in 2013, we are a specialized web design and development agency based in Bucharest, RO. Quality over quantity. However, we design and launch a wide range of digital products or comprehensive identity systems. We translate our solutions visually into communication portals, e-commerce platforms, mobile applications, and content-rich websites. We provide the complete technical solution in an optimal package of test equipment, software, IT & C infrastructure, know-how and technical support. We offer systems for complex testing of materials and / or components through destructive and non-destructive tests / tests for the automotive, aerospace, electronics, metal, polymers and elastomers, but also for the building material industry. Digital Telecomms is a company producing high performance passive optical components and distribution and connection solutions for fiber optic and copper networks. Want to become a member of ELINCLUS?